In this guest blog, public health doctor David Roberts looks at what can be done to cut salt intake in our diets. 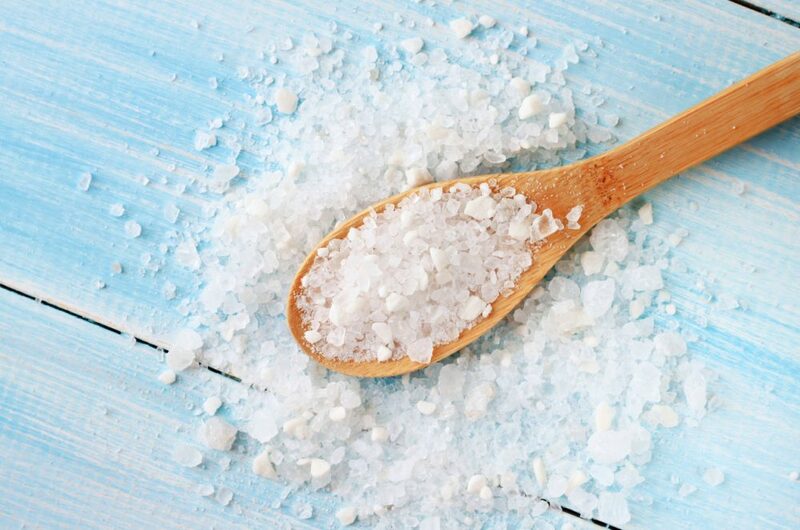 Many health authorities consider current salt intake to be too high, and governments across the globe are making concerted efforts to decrease the average daily salt eaten by individuals in their populations. The average UK adult intake was 7.2g/day in 2014 (a drop from 8.0g/day in 2005/6), but current recommendations are for consumption of less than 5-6g/day. But why the campaign against the white stuff? Higher salt intakes are considered to be a cause of high blood pressure. High blood pressure itself significantly increases the risk of common and serious illnesses such as stroke and heart disease. These illnesses cause huge misery across the world, and treatment is expensive; health authorities including the World Health Organisation (WHO) believe that by acting on the root causes of stroke and heart disease, such as salt intake, governments can cut disease rates and improve population health. Diet is the most important source of salt intake, and this has been the main target of policymakers looking to decrease salt consumption. The best method to reduce intake across a population can be broadly split into programs that require individuals to consciously choose to decrease salt consumption, such as by health promotion informing them of the effect of salt on health and hoping they reduce their intake, and programs that do not rely on choice, but require reduction of salt in foodstuffs at source (‘reformulation’), or a blend of the two methods. There is little evidence as to whether population salt intake has fallen as a result of these strategies, and what is the most effective way to achieve population level decreases in dietary salt. The country setting is important when deciding strategy: 70% of typical salt intake for a person from the UK comes from processed foods, meaning reformulation is likely to be effective here, but less so where added table salt makes up a higher proportion of total intake. A recent Cochrane review has attempted to provide evidence on whether salt reduction strategies have reduced population salt consumption. The study team found data from repeated surveys in ten countries measuring population salt intake before and after implementation of differing national strategies for reducing salt consumption. Reduction strategies varied by setting. 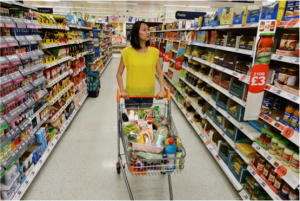 The UK, for example, used a multi-component strategy of on-pack labelling, health promotion to the public, and reformulation. Others relied only on health promotion messages. The study team found that salt intake had fallen in half of countries with salt reduction strategies where studies had been performed, but had actually increased in two and not changed in three. Seven strategies included reformulation or similar methods to decrease salt intake, resulting in a fall in four. Reduction in salt intake was observed more frequently in men (5 countries) than women (3 countries). The findings of the individual studies were too dissimilar for the review authors to combine into a reliable average estimate or to directly compare different reduction strategies. Unfortunately, these studies do not provide a control group which would tell us whether or not any observed change may have occurred by coincidence, perhaps for reasons other than the salt intake reduction strategy in place. Even if well conducted, these limitations of so called ‘before and after’ studies reduce our ability to say whether any observed change occurred because of the strategy in place, which could only be reliably known if more complex studies are performed. Pulling all these findings together, salt intake has fallen in some countries with reduction strategies including reformulation in place, which may lead to decreases in blood pressure and consequently cardiovascular disease. But policy makers are only a little closer to knowing if salt intake fell due to their actions, which actions are most effective, and on whom they work best. Despite this, multi-component strategies including reformulation have a stronger theoretical basis for success, particularly in settings with high salt intake from processed foods, so they are unlikely to be changed by these results[i]. Footnote[i]: The review team did not look to see if salt reduction actually decreases blood pressure; evidence for this has been established by a Cochrane review of experimental studies, and other research observing populations over time. However, the interested reader may have heard of recent research contesting these findings, though its methods have been criticised by other experts in the field. David Roberts has no conflicts of interest.